This is a simple and easy to understand Recipe for preparing at home rich, delicious and tasty Mithai Shop Style Chocolate Betel Leaf Paan. This unique Dark Chocolate recipe uses the common Betel Leaves and some of the ingredients, which are commonly used to prepare Meetha or Sweet Paan along with Dark Chocolate to prepare this rare Mithai. 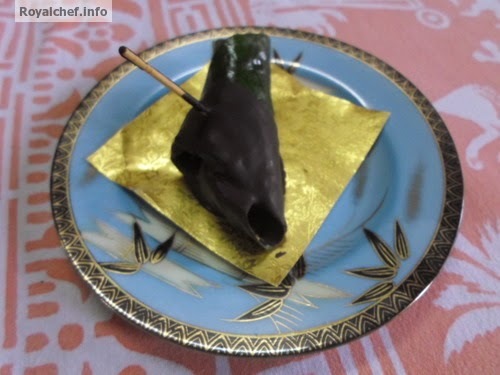 The Chocolate Paan can also be prepared as a part of the Diwali Faral. 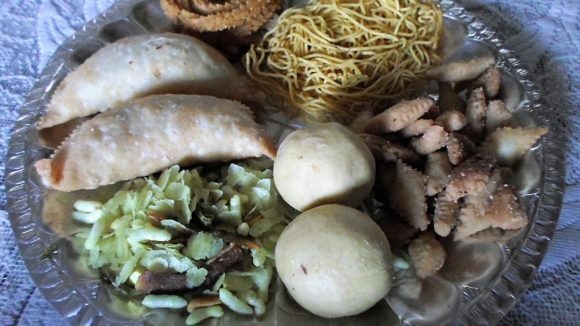 Apply a little bit of the Katha and Chuna over the backside of the Betel Leaf and then add the Fennel seeds, Red Petal Jam, shredded Dark Chocolate and fold the Betel Leaf. Melt the Dark Chocolate with double boiling procedure, roll the folded Betel Leaf into the melted Dark Chocolate Compound, and then keep the Chocolate Betel Leaf into the Deep refrigerator for five minutes. The Chocolate Betel Leaf is ready.